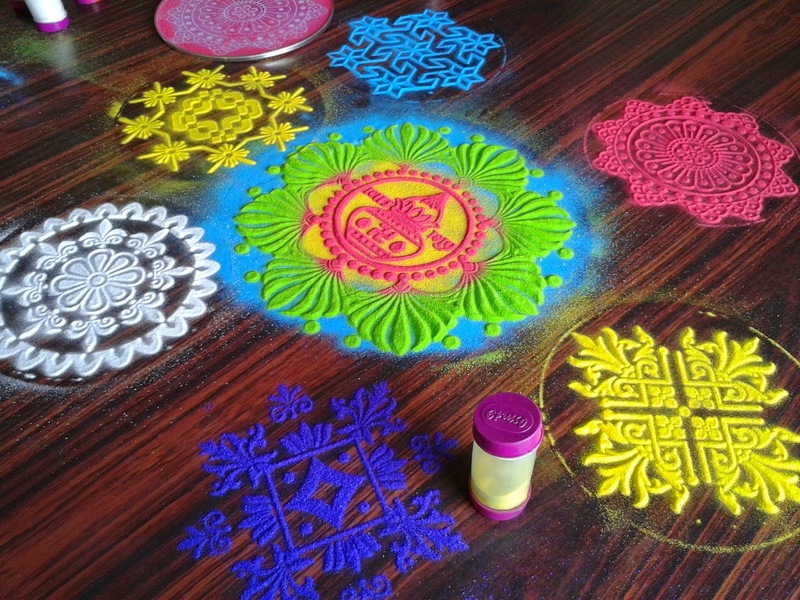 Rangoli making is made easy with the help of stencils. There are various designs available in the market. 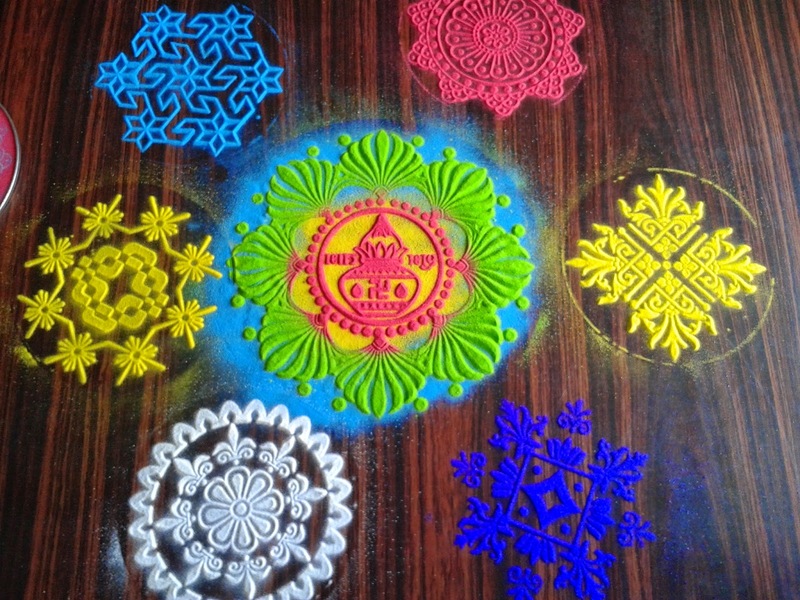 they are available in various sizes 4" , 8", 12" ,15" ,20"
if you have less time rangoli stencils are the best tool for you to draw rangoli quickly .you can start drawing directly on the floor place it firmly on the floor. 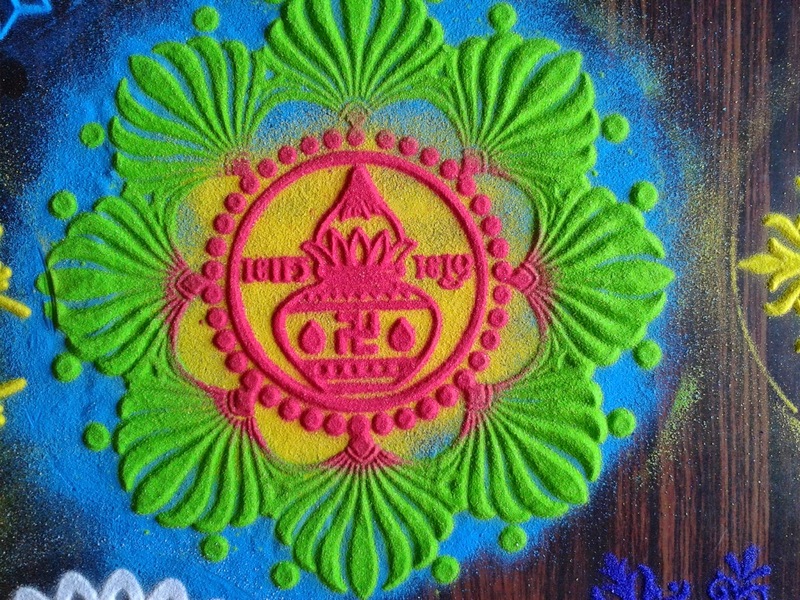 you start by sprinkling the colour for background circle as shown in the video .then place the stencil over the background circles and sprinkle the colour over the stencil using color filler box.